Fall fashion always includes something checked. And that doesn't mean you have to opt for the normal green, blue or red patterns. 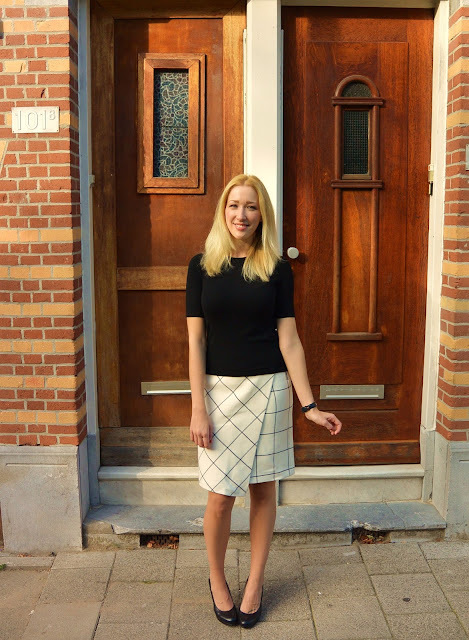 This skirt (first seen here) has the fall check pattern, without being too bold so perfect for the office! The fabric is so soft so it's great for colder winter days as well!